EVT is excited to announce the release of our first Sony Preigus 10GigE Cameras. The HR-5000 utilizes the Sony IMX250 2/3″ sensor. At full resolution (2448×2048), you get 163 frames per second. Like all Emergent Vision cameras, the HR-5000 series offers various triggering modes for the precise synchronization at <1µs. This combination is ideal for any application needing to see the details at real time imaging speeds. Overall, the HR-5000 delivers the resolution you need at unmatched speeds. Ideal for solar and display panel inspection, electronic assemblies as well as large aerial surveillance of sport stadiums, production lines or robot cages. Near-infrared enhanced camera variant provides special low-light sensitivity for Unmanned Aerial Vehicles (UAV), border control and security applications. 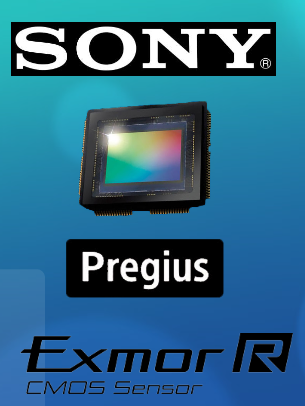 EVT is excited to announce the addition of Sony Pregius Global Shutter CMOS Sensors to our SFP+ and 10GBaseT cameras lines. As the first 10GigE industrial digital camera series in the world, our HS HR, and HT cameras obtain their high performance from these industrial CMOS sensors with Global Shutter technology in combination with the cross-industry standard 10 Gigabit Ethernet (10GigE) interface. EVT cameras are GigE Vision and GenICam Compliant and can run on Windows 64bit or Linux platforms. 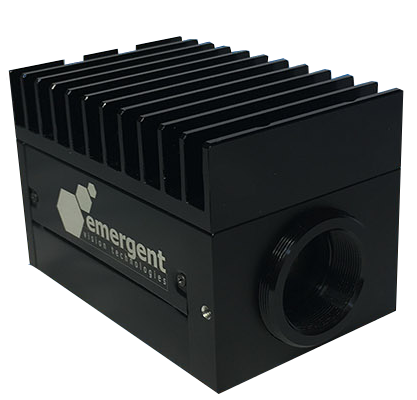 Near-infrared enhanced camera variant provides special low-light sensitivity for Unmanned Aerial Vehicles (UAV), border control and security applications.